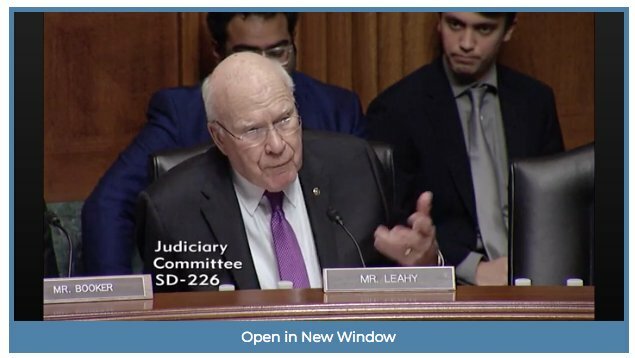 Senator Leahy expresses disbelief at OIP’s insistence that 508 should hold up posting documents online. An incredulous Senator Chuck Grassley told the Justice Department Office of Information Policy’s Melanie Pustay this Sunshine Week that her defenses of lackluster government-wide FOIA performance didn’t pass “the common-sense test.” OIP’s support of agencies who claimed 508 compliance concerns were a valid reason for agencies to hesitate posting documents online – or, worse yet, an excuse to remove documents currently published on government websites – was one such “common-sense test” failure for Grassley and Senator Patrick Leahy. At their most recent meeting the FOIA Advisory Committee took the first tangible step to help agencies navigate 508 compliance concerns. The committee approved 37 recommendation, including encouraging agencies on 508 to, instead of either not posting documents or even removing previously posted documents, “remediate documents that are not currently 508 compliant” and “ensure that their FOIA reading rooms include contact information that individuals with disabilities can use if they encounter inaccessible documents.” The Committee also recommended that agencies familiarize themselves with the Rehabilitation Act’s “undue burden provision” that allows agencies to post electronic documents that are not Section 508 compliant if rendering them compliant would “impose an undue burden” on the agency. A Project on Government Oversight investigation, informed in part by FOIA-released records, show that half of the contractors that built border wall prototypes had shaky track records, including one that the Army Corps of Engineers felt in 2014 “was too risky to do future business with.” The contractor, Caddell Construction, was investigated by the Army for defrauding the government across multiple contracts. The Corps recommended that the Army’s Procurement Fraud division debar Caddell. The border wall contracting process was also the subject of a separate USA Today FOIA investigation, which in 2017 shed light on the “unusually confusing and haphazard process” of contractors bidding to build border wall prototypes. Nearly 200 pages of Customs and Border Protection (CBP) documents revealed communications with companies seeking clarity on a rushed, murky bidding process that initially only gave companies 12 days to submit proposals for 30-foot high prototypes that could lead to a $300-million five-year contract. The chair of the Senate Environment and Public Works Committee, John Barrasso, is looking into Environmental Protection Agency head Scott Pruitt’s use of four government email addresses. The multiple emails – “three of which do not follow EPA’s conventional format” – raise concerns that the emails are not being properly searched in response to FOIA requests. A spokesperson for Pruitt insists that all emails are searched in response to FOIA. Read about Pruitt’s other FOIA woes here. The National Security Archive and Doyle have filed dozens of FOIA requests for records relating to the forced disappearance, but the U.S. government has yet to declassify any relevant records. 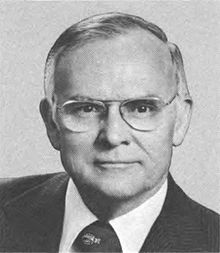 The Archive’s FOIA Project director Nate Jones and Michael R. Lemov, former Commerce Committee counsel for Congressman John Moss, recently joined forces to pen an excellent retrospective on FOIA’s founding father, John Moss, and the worldwide implications of the US’s landmark transparency law. The article originally appeared in the Southwestern Journal of International Law, Volume 24. This week’s Cyber Brief highlights the March 2018 report from the DOJ Inspector General on the FBI’s statements on its ability to break into the iPhone of Syed Rizwan Farook, one of the attackers killed in the San Bernardino terrorist attack. This report was issued in response to allegations that the Operational Technology Division in fact had acquired the capability to unlock the iPhone but did not use it in order to support planned Congressional testimony on the encryption debate. The OIG report found, however, that the Operational Technology Division did not have the capability at the time of the Congressional testimony in question. Talking points written by Libby for White House Press Secretary Scott McClellan. This week’s #TBT pick is chosen with Donald Trump’s recent pardoning of former Vice President’s Chief of Staff, Scooter Libby, who was convicted on four counts for his involvement in the leaking of the covert identity of CIA officer Valerie Plame Wilson, in mind. This week’s pick is a 2007 posting of The Scooter Libby File, which examines the declassified documents introduced as evidence during the Libby trial provide an almost unprecedented window into Mr. Cheney’s own role as the most powerful vice president in history. The Archive’s director Tom Blanton discussed the documents and their historical context with NPR’s Morning Edition.